Despite an aggressive crackdown against “drunk” drivers which began in the 1980s, alcohol is still responsible for about a third of the fatal car crashes in Tampa. If these victims sustain serious injuries, they are eligible for compensation for both economic losses, such as medical bills, and noneconomic losses, such as pain and suffering. In some extreme cases, additional punitive damages may be available as well. To win such claims, victims must establish negligence by a preponderance of the evidence (more likely than not). As outlined below, there are basically two ways to prove negligence in these cases. Alcohol is a depressant that slows the nervous system, so people who drink have slow physical reactions, a slow thought process, and difficulty concentrating. Furthermore, alcohol gives people a sense of euphoria that impairs judgement. All these things make it dangerous to operate a motor vehicle while drinking. Prior stop at a place that served alcohol. Taken individually, these factors may not establish alcohol consumption, as for example, many people go to parties where alcohol is served yet they do not drink. But collectively, they are powerful evidence of consumption, especially since the standard of proof in civil cases is rather low. If both elements are present, the tortfeasor is usually liable for damages as a matter of law. In many cases, particularly ones that involve a wrongful death or other catastrophic injury, the individual tortfeasor may not have sufficient insurance coverage to fully compensate the victim. Fortunately, there are several vicarious liability theories that may give victims an additional source of recovery. Someone whom the business owner knows is “habitually addicted” to alcohol. Strict liability usually applies in the first instance, as it is normally not a defense that the tortfeasor “looked older.” In the second instance, the victim must present evidence of knowledge. Even though grocery stores, convenience stores, and other such outlets do not sell consumable alcohol, it is legally foreseeable that the tortfeasor will open the container and drink on the way home, so liability usually attaches. The dram shop law only applies to commercial sales. Even though Florida does not have a social host liability law, hosts may still be liable for damages if their intoxicated guests cause car crashes under the negligent undertaking doctrine. Assume Hector Host says he will call a taxi for Drunk Debbie, but Hector fails to do so. Debbie then drives home and crashes into Vincent Victim. Under these facts, Hector may be liable for Vincent’s damages. Typically, if there is more than one responsible party, a judge will apportion the victim’s damages between them based on their percentage of fault. 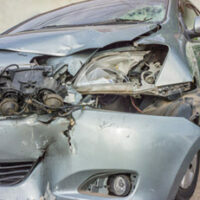 Alcohol crash victims may be entitled to significant compensation. For a free consultation with an experienced personal injury lawyer in Tampa, contact The Matassini Law Firm, P.A. We are eager to assist you today.